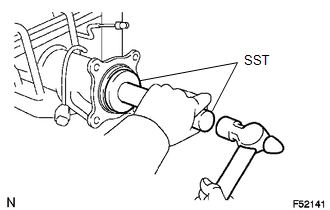 (a) Install a new O-ring. 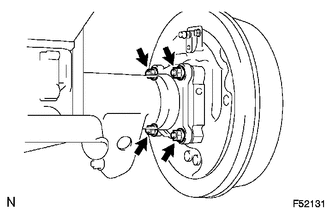 (b) Install the rear axle shaft with backing plate with the 4 nuts. 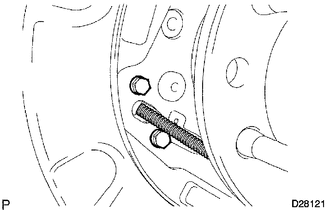 (a) Using a union nut wrench, connect the brake tube. 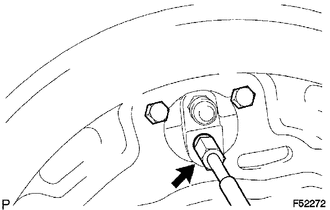 (a) Install the parking brake cable with the 2 bolts onto the backing plate.